So this is what the Indian Government was telling us the whole time by ''Ache din'' because what they really meant was ''Rot in hell''. As per multiple news reports, Centre will not accept the financial assistance made from Gulf nations for flood-wrecked state Kerala. "In line with existing policy, the government of India is committed to meeting the requirements for relief and rehabilitation through domestic efforts," the foreign ministry said in a statement last night on the Kerala flood. Later, a very sharp response from Kerala Finance Minister Thomas Isaac posted a tweet, "This is a dog in the manger policy,". “National Disaster Management Plan Chapter 9 on international cooperation accepts that in time (of) severe calamity voluntary aid given by a foreign gov can be accepted. Still if Union Gov chooses to adopt a negative stand towards offer made by UAE gov they should compensate Kerala,” Dr. Isaac tweeted. The fight between Kerala and the central government over whether to accept foreign aid intensified after a reported offer of Rs. 700 crore from the United Arab Emirates. 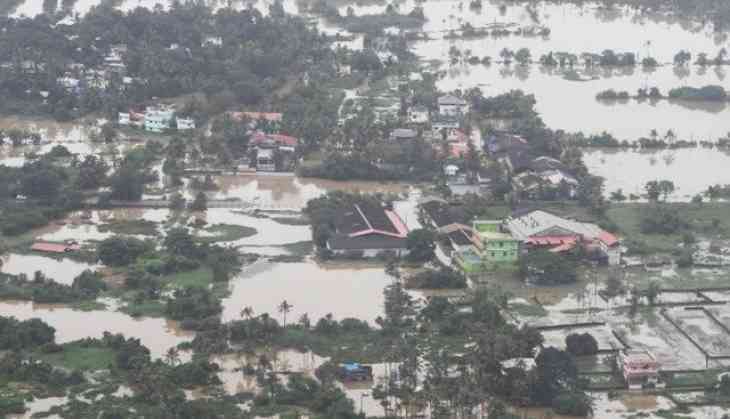 Reports say Qatar and Maldives have also offered to help Kerala recover from the devastating floods. While declining aid for Kerala flood, the government expressed "sincere appreciation" to nations and said: "Contributions to PM relief fund and CM relief fund from NRIs, PIOs and international entities such as foundations would, however, be welcome." IPL Fixing: IPL investigator makes a shocking revelation about this top Indian cricketer was in touch with a well known bookie! READ NEXT >> IPL Fixing: IPL investigator makes a shocking revelation about this top Indian cricketer was in touch with a well known bookie!